At Polimil, we specialise in tactical equipment and stock the largest brands in the police, military, outdoor, camping and health and safety markets such as 5.11, Lowa, Haix, Hazard 4, Snugpak, Adidas, Berghaus, Karrimor, Meindl, Magnum, Jack pyke & Oakley supplying high quality items that will meet all your needs for serious work or play ranging from waterproof jackets, tents, camping equipment, police boots and gloves. Shop now for police boots, military boots, walking boots and safety boots to give your feet the best chance of staying dry, warm and safe. 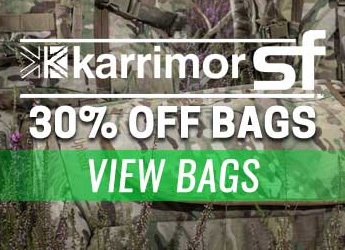 Also browse our extensive clothing range of waterproof outer wear, uniform, base layers and thermals.Explore our luggage range of rucksacks, Bergen’s, day packs and holdalls. We stock a vast range of Snugpak Clothing, Bags and Sleeping Bags, with jackets that will keep you warm down to -15°C or sleeping bags perfect for use the warm summer months. Buying your favorite brands shouldn’t have to cost you a fortune.We always strive to match the best price you can find on the Internet with our price match guarantee. All of this is combined with dedicated customer service team, making us your go-to police, military and outdoor store. So if you ever need help choosing or need any technical advice then do not hesitate to get in touch!